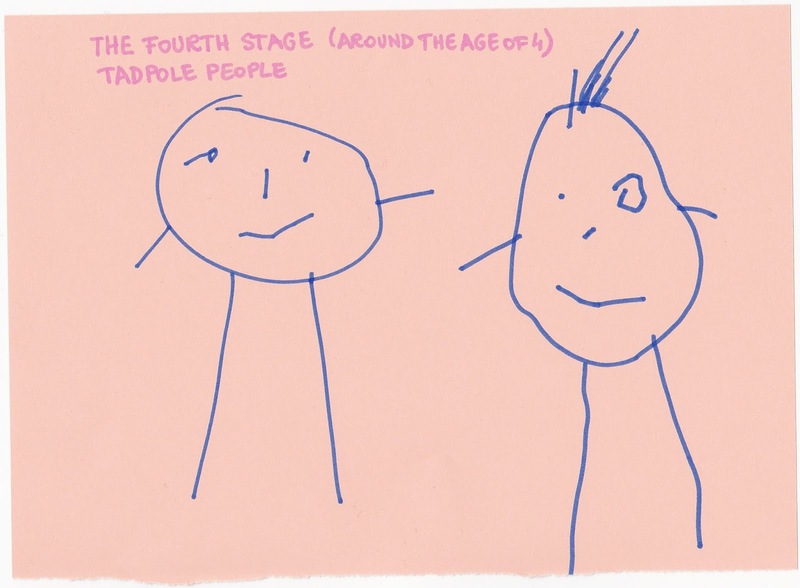 Grumpy Dumpling: What a Drawing Can Tell You About a Child? What a Drawing Can Tell You About a Child? To the casual observer, a child who is scribbling on a white piece of paper is just fooling around, but a kindergarten teacher knows that the child’s scribble is more than that. The circles and wavy lines a child draws look like something meaningless, but the action of drawing is something engaging, captivating to her. Furthermore, a child’s fine motor skills (small muscle coordination) and the hand-eye coordination improve a lot while drawing. Even when just scribbling, the child uses the same muscles that she will need for writing and she will learn how to properly hold the writing tool in her hand. In addition, kids learn to express themselves through art – some might have difficulties saying what is bothering them, but some hints might arise from their drawings. 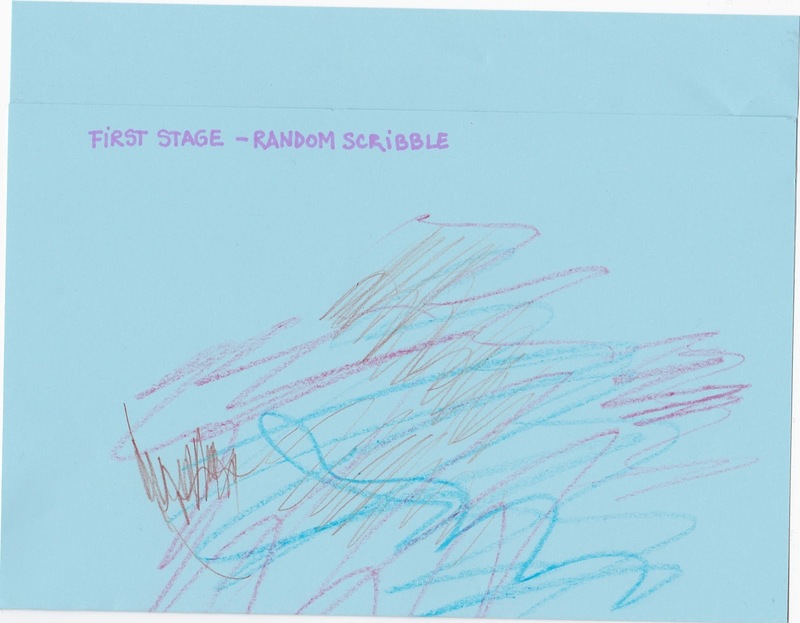 The first stage describes the child around the age of 2: kids only scribble, without actually trying to portray anything specific. 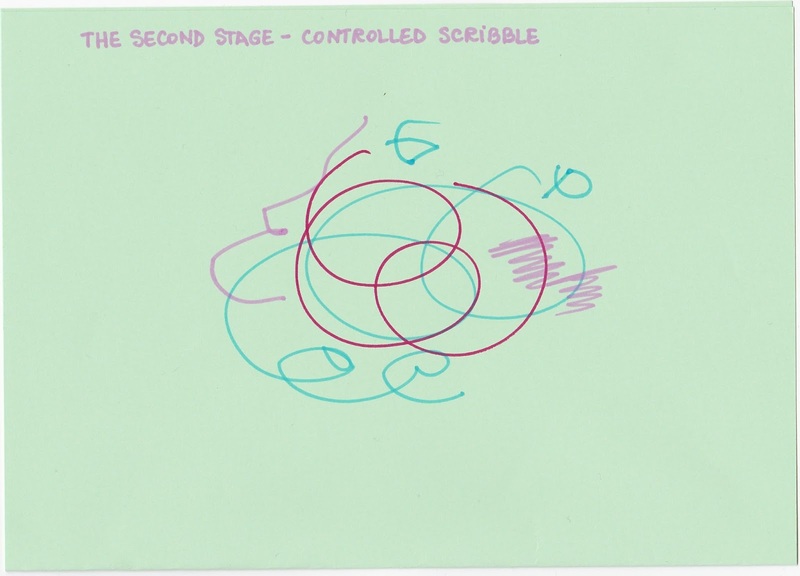 At this stage, they just have fun observing what happens when they use the writing tool – they don’t realize they can draw what they want by making marks on the piece of paper. Only after practicing for some time, they start to draw controlled scribbles. 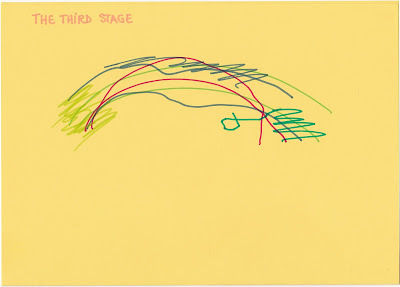 This stage is represented by the appearance of round shapes in the child’s drawings. 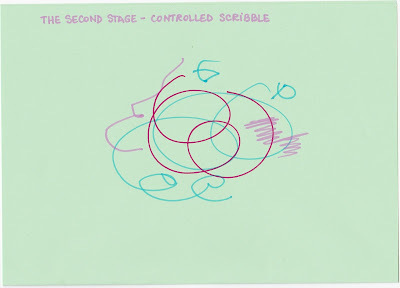 These are accompanied by the typical scribbles present in the first stage. There aren’t any recognizable symbols yet. 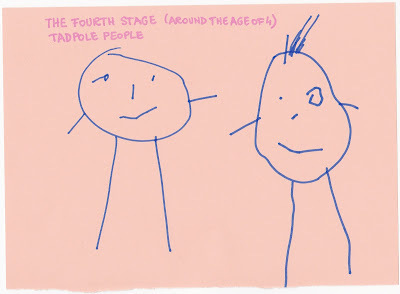 At the age of 3-4, kids draw almost everything from circles, but later these evolve into different shapes and symbols. Children start giving meaning to those scribbles. Sometimes children draw something and then decide what that is, or vice versa. However, the same drawing might be one day “a red angry bird” and the other day “a flower”. After a while, the child will start producing recognizable shapes (and will be really proud of them :)). At the age of 4-5 they already start drawing conscious symbols. People are drawn with faces, hands and legs. At the beginning, the figures are missing the body – the legs and arms start from the head. Also, they won’t be very detailed – most of the times with no fingers and no clothes. 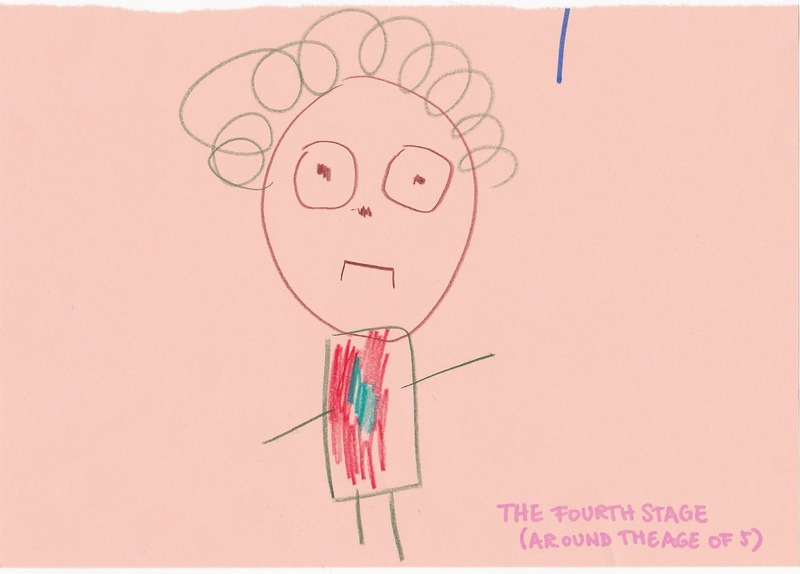 The way a child draws a person was considered to show things about her intellect. The Draw-a-Person test (DAP, DAP test, or Goodenough–Harris Draw-a-Person test) is a psychological and cognitive test used to evaluate children and adolescents. 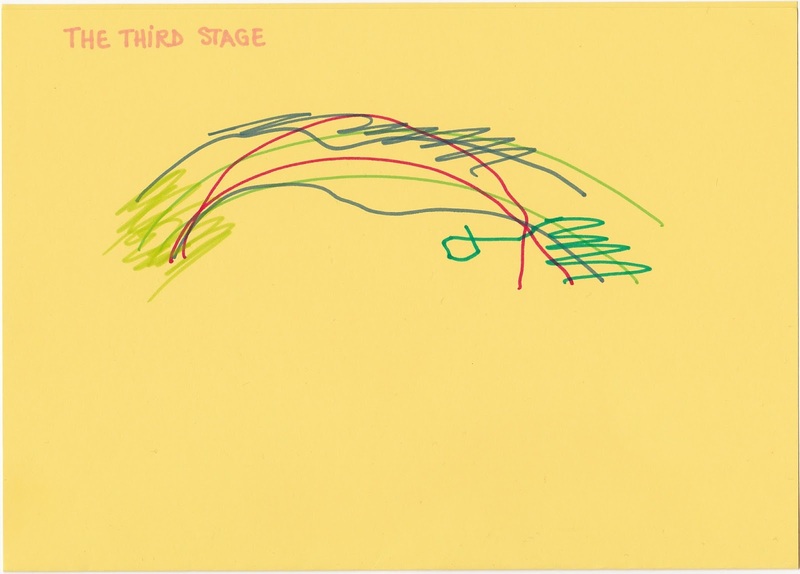 According to this, the way a child draws a person suggests her mental developmental stage. For this test, children are asked to draw a man, a woman, and themselves. These drawings are then interpreted; according to the author’s scoring scales. However, the draw-a-person test's correlation to intelligence has proven to be minimal at best. 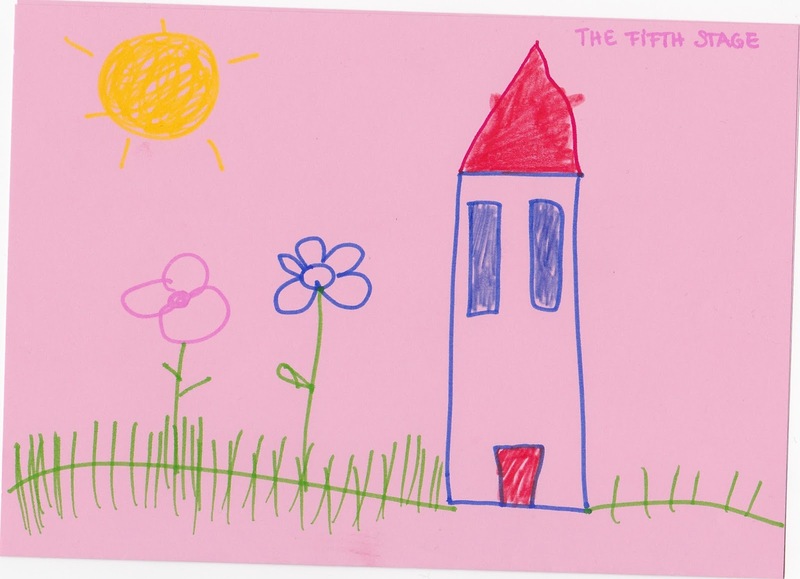 This is usually between the age of 5 and 7 - the child draws a lot of elements from the world around her: flowers, houses, the sun, a garden, etc. In first and second grade, a child’s drawings become more realistic and illustrate the world around them. Of course, some children might develop their drawing skills faster than others, if they practice a lot and find an interest in it, or if they are just talented. Some might reach some of the stages later, but they all go through all of the stages of development. How to talk about art with your kid? Rather than saying “Good job!” every time a child comes to you to show you her drawing, try making comments on the movements, on the colors used, and ask questions about the people represented in the drawing. 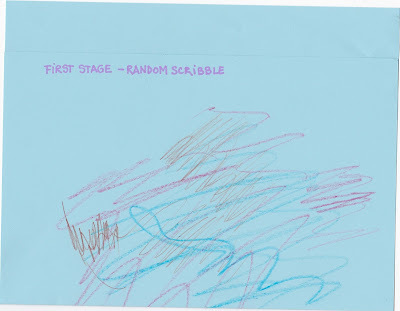 Listen to the child’s comments about the drawing and elicit extra information – it’s a great way to start a conversation, improve the children’s vocabulary, talk about their feelings and emotions, or simply establish a connection with them. Encouraging the child to verbalize their thoughts will help them handle their emotions and deal with stressful, painful experiences in their lives.